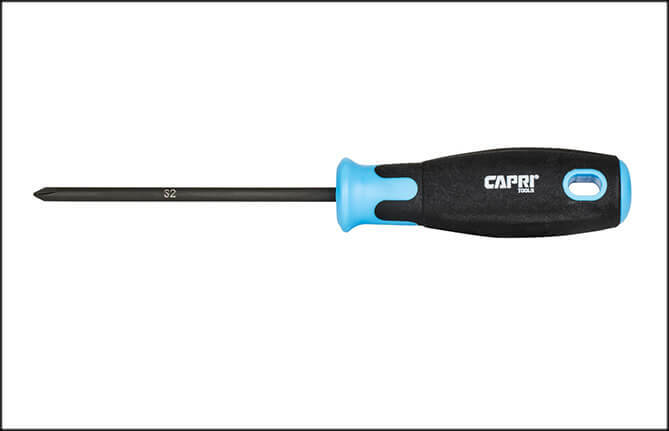 100% stronger grip compared with traditional screwdrivers at oily conditions. 30% more grip under normal conditions. 100% more grip under oily conditions. 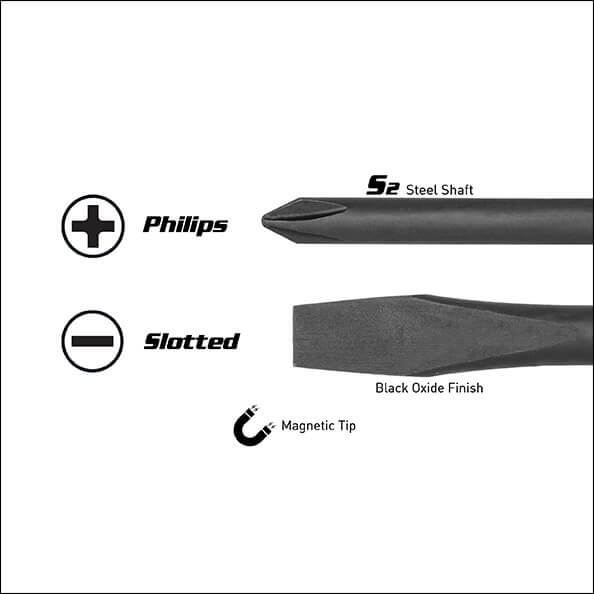 Black Oxide finish with a magnetic tip. 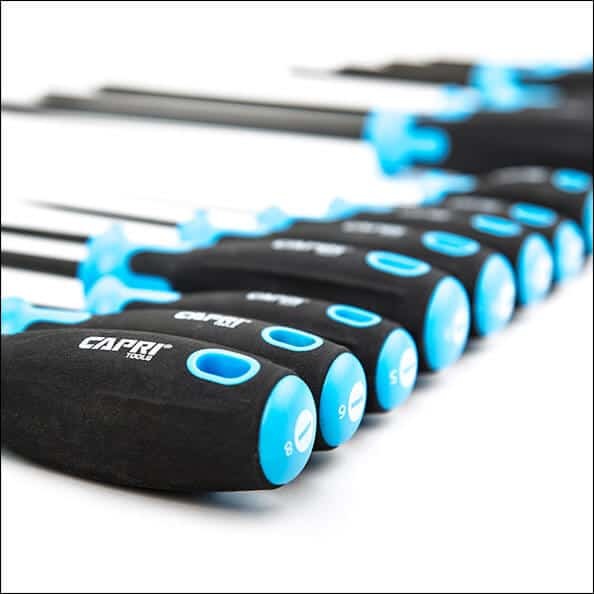 Experience a strong and confident sure grip with our Capri Tools Mechanic’s Screwdrivers. 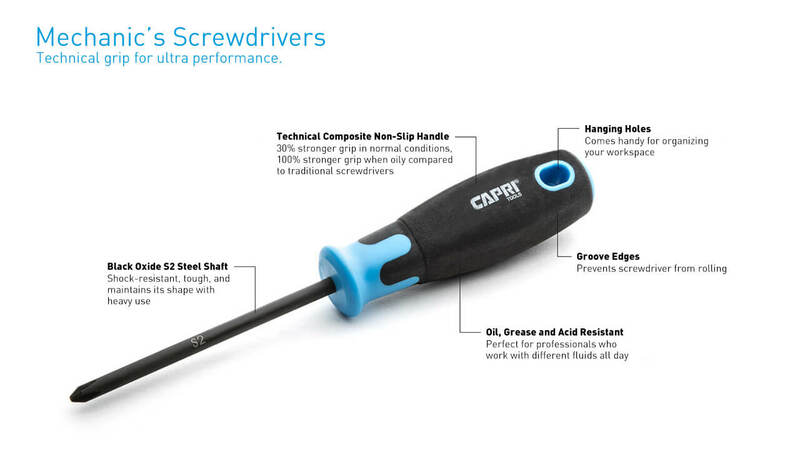 Compared to traditional screwdrivers, our technical composite non-slip handle gives you 30% stronger grip in normal conditions, and 100% stronger grip when your hands and handle are oily. 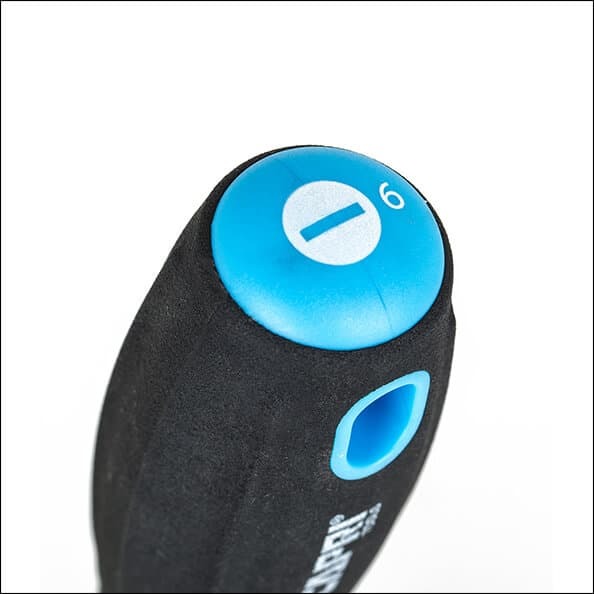 Enjoy the sure grip to help you get the job done faster, more safely, and a lot more effortlessly. Our non-slip handles are also oil, grease and acid resistant, making it a perfect companion for professionals who work with different fluids all day. 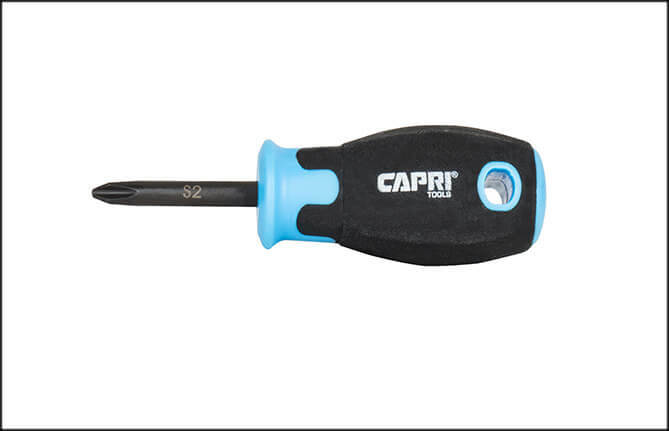 Screwdriver shaft is constructed of premium S2 steel, a steel used only for premium hand tools for its shock-resistant and tough properties, outperforming Chrome Vanadium and lesser alloy steels. Smooth black oxide finish is corrosion resistant, produces no glare and reduces eye fatigue. 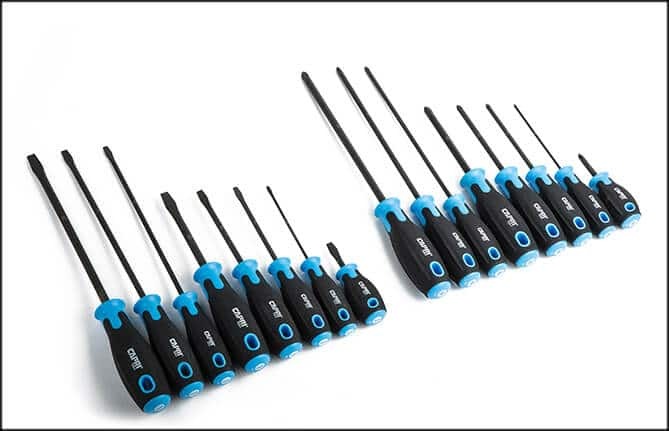 The set includes 16 most commonly used sizes: Slotted: 1/8 x 4, 3/16 x 4, 3/16 x 8, 1/4 x 1-1/2, 1/4 x 4, 1/4 x 8, 5/16 x 4, 5/16 x 8 in., Phillips: PH0 x 4, PH1 x 4, PH1 x 8, PH2 x 1-1/2, PH2 x 4, PH2 x 8, PH3 x 4, PH3 x 8 in.